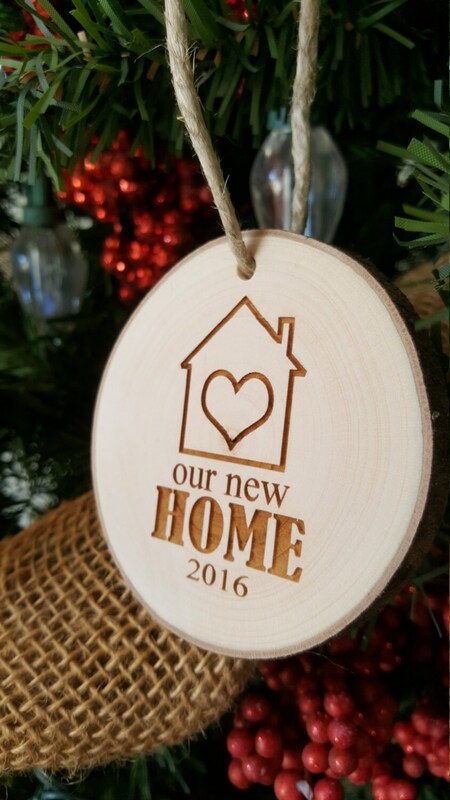 What a beautiful way to remember your first Christmas in your new home? 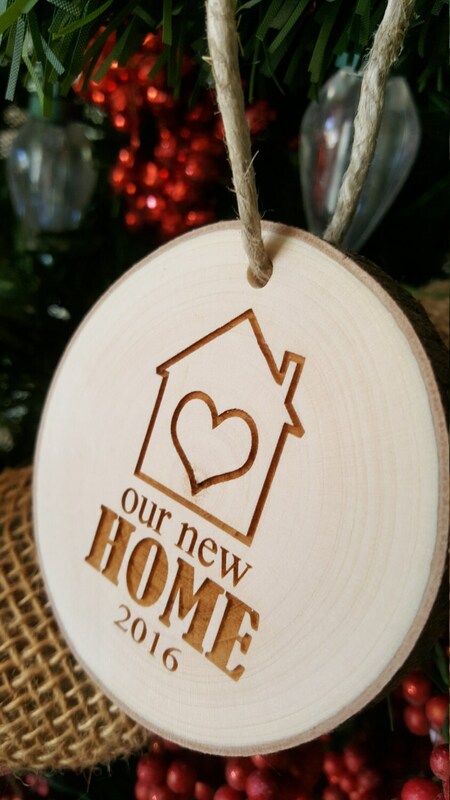 This engraved wood slice is a unique piece that makes a perfect addition to your Christmas décor. 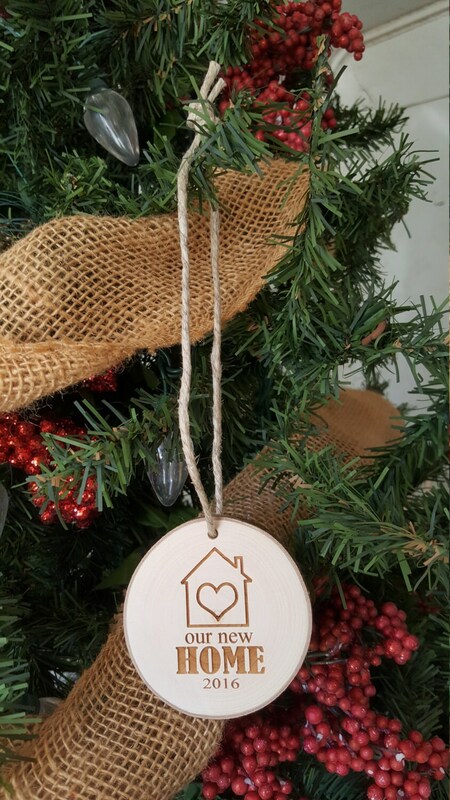 The date can be changed if needed. Very pretty. Exactly as pictured.